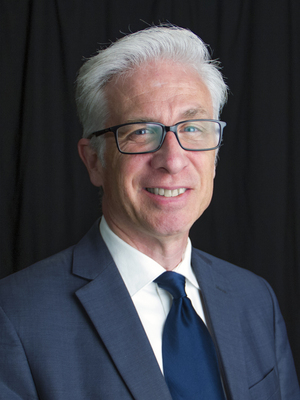 David Staley is Interim Director of the Humanities Institute and Director of the Center for the Humanities in Practice (CHiP). He is an associate professor in the Department of History--where he teaches courses in digital history and historical methods--and holds courtesy appointments in the departments of Design--where he has taught courses in Design History and Design Futures--and Educational Studies, where he leads the "Forum on the University." His research interests include digital history, the philosophy of history, historical methodology, and the history and future of higher education. He has published widely (in print and electronically) on the intersection of technology and higher education, and is the author of Brain, Mind and Internet: A Deep History and Future (Palgrave Macmillan, 2014), Computers, Visualization and History, 2nded. (Routledge, 2014) and History and Future: Using Historical Thinking to Imagine the Future (Lexington Books, 2007). Among his recent publications, he is author of the Association of College and Research Libraries (ACRL) reports "Futures Thinking for Academic Librarians: Higher Education in 2025," and "Futures Thinking for Academic Librarians: Scenarios for the Future of the Book," "Futuring, Strategic Planning and Shared Awareness: An Ohio University Libraries' Case Study" in The Journal of Academic Librarianship, and "The Future of the University: Speculative Design for Innovation in Higher Education," which appeared in Educause Review. In addition to his written work, he has designed and curated both online and physical exhibitions and has published numerous visual compositions in digital media. From 2003-2008, Staley was the Executive Director of the American Association for History and Computing (AAHC). In the video below Associate Professor David Staley discusses digital history and the future.